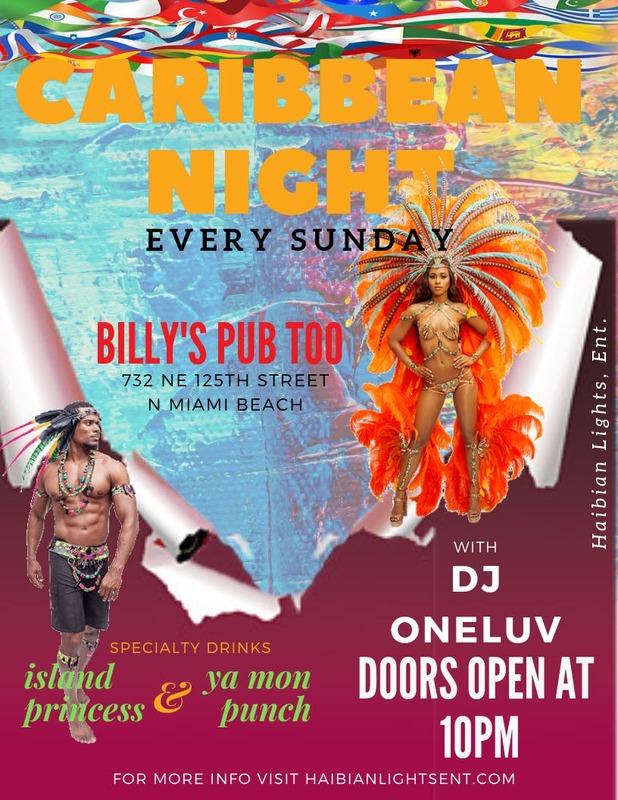 It’s going down each Sunday at Billy’s Pub Too! Caribbean Night is happening and will be featuring @gorilla_kie specialty cocktails “Island Princess” and “Ya Mon Punch”?? Complimentary drink with each ticket purchase!